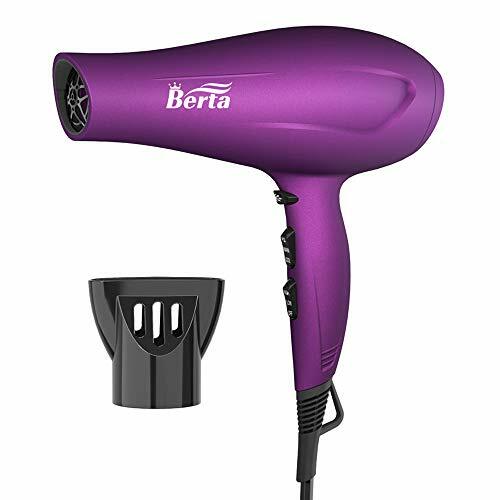 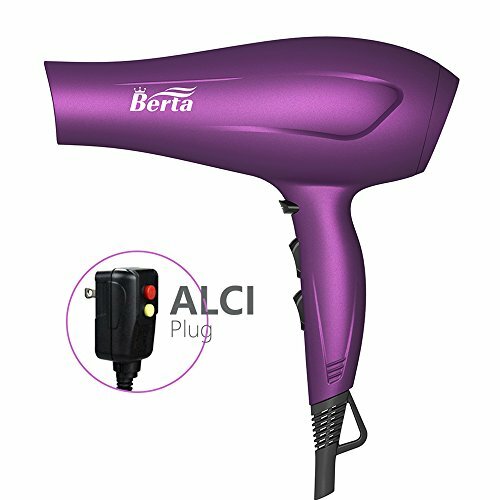 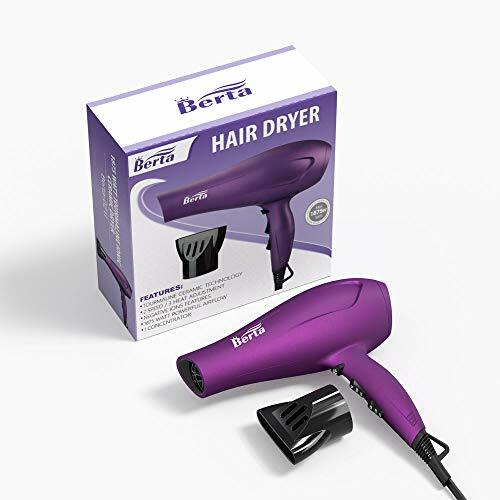 DC motor, lightweight and soft touch finish body, 1875 Watts, A powerful hair dryer that features tourmaline ceramic technology. 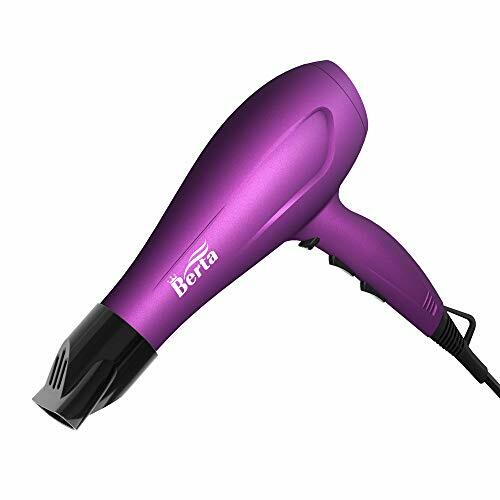 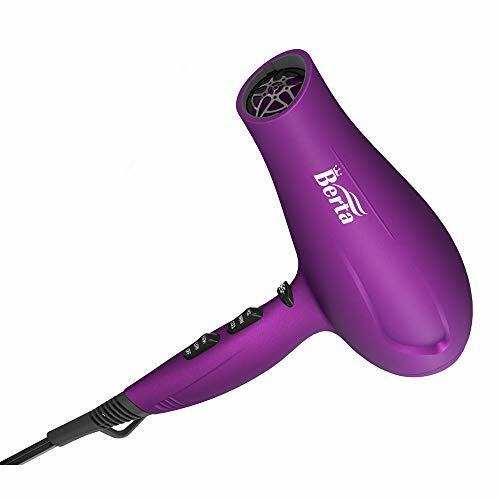 With cool shot button, 3 multiple heat and 2 speed settings, choose the perfect temperature and air speed for styling needs. 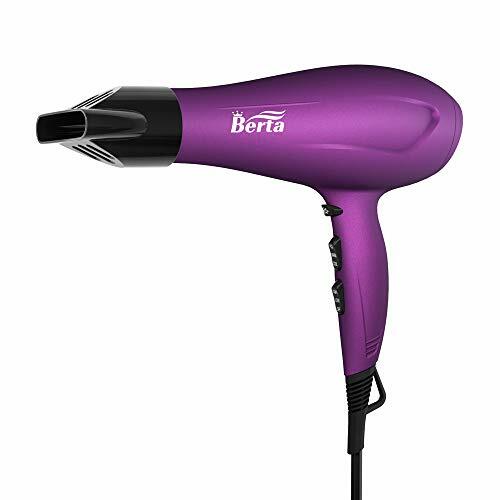 Negative ionic break down water molecules resulting in super-fast dry time, reducing dryness and damage to hair. 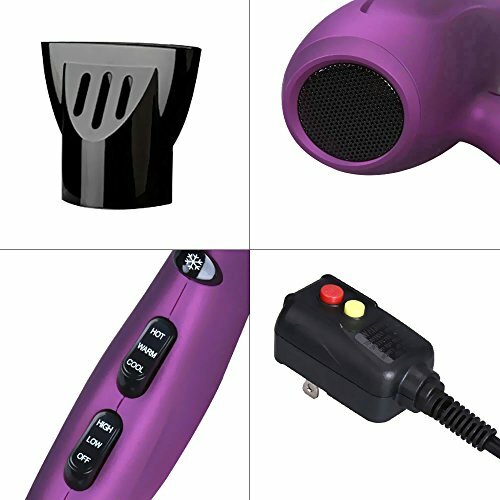 100-125VAC, 60Hz, ALCI Safety Plug, 2.2 meters salon power cord with hanging loop, stored it so easy.